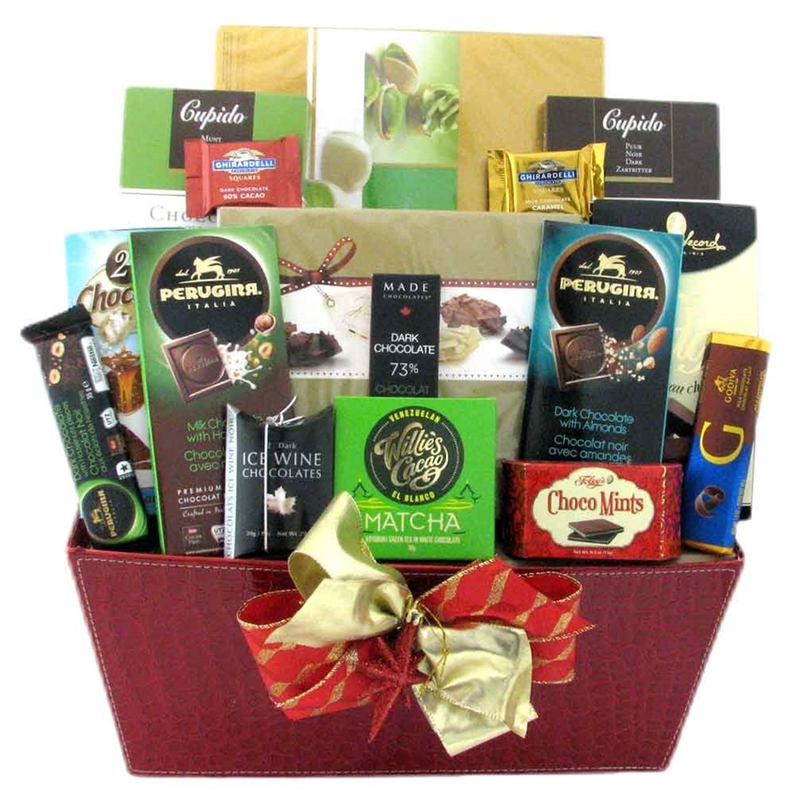 Gourmet chocolate gift hampers like this one makes an everlasting impression for the chocolate addict - you know the person who is always talking chocolate, chocolate, chocolate. They will be thrilled with this chocked full of chocolate gift basket. 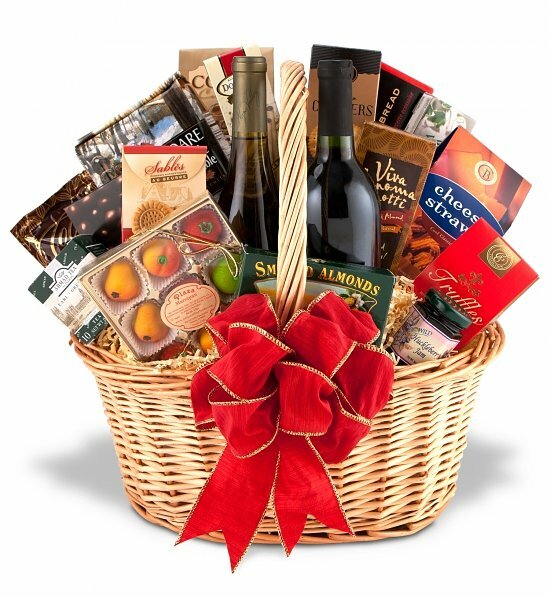 If you want to make their day, send this gourmet food basket. A gift that will surely be remembered. This gourmet chocolate gift hamper ships to Canada including beautiful gift wrapping and a personal note to your recipient, from our Canadian location.